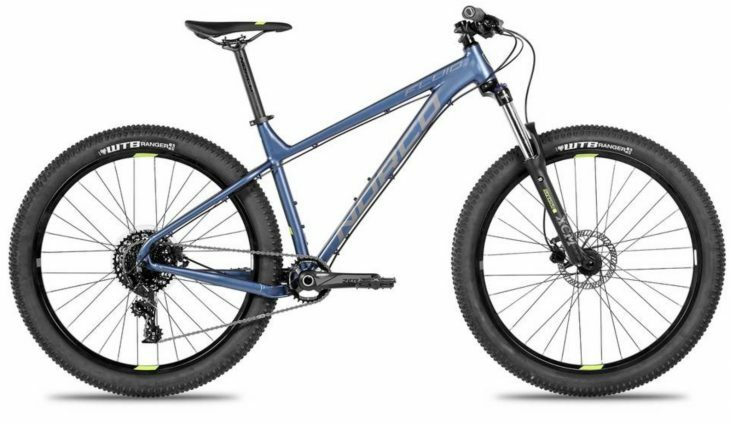 Following on from our list of full-suspension bikes that you can buy for under £1200, we thought we would cast our net out again and see what we could catch on a budget of less than £1000. 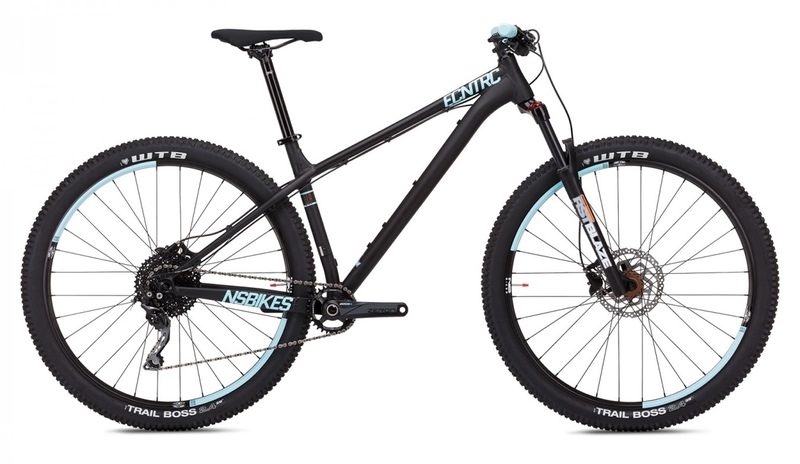 We’ve been pretty strict with this and only included bikes with an RRP of less than £1000, and we’ve not included the Calibre Bossnut because we’ve already listed it here, and we have a review here. 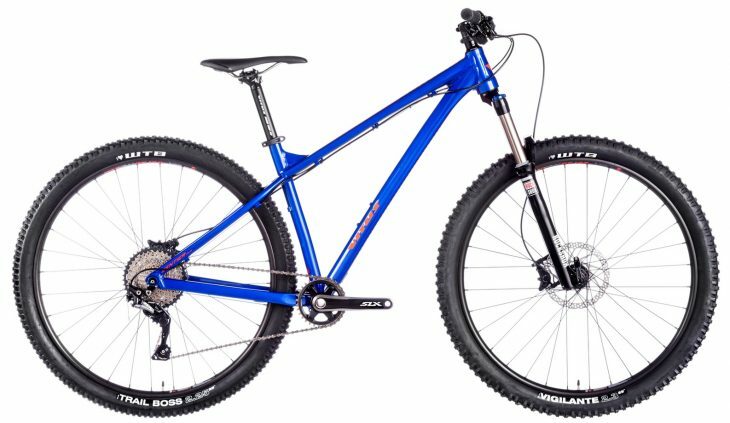 What we’re left with is a list of 8 hardtail mountain bikes that have the right geometry and components so you can get loose with the best of them. We’ll start with the Norco Charger 1 because it’s more of a trail/XC bike than the other models on the list, but also because it’s the only bike here that features a Rockshox Judy fork with classy black stanchions. What’s pretty interesting is Norco spec the Charger 1 in different wheel sizes depending on the size of the bike. XS and S bikes ship with 27.5in wheels while M, L and XL bikes roll on 29in wheels. 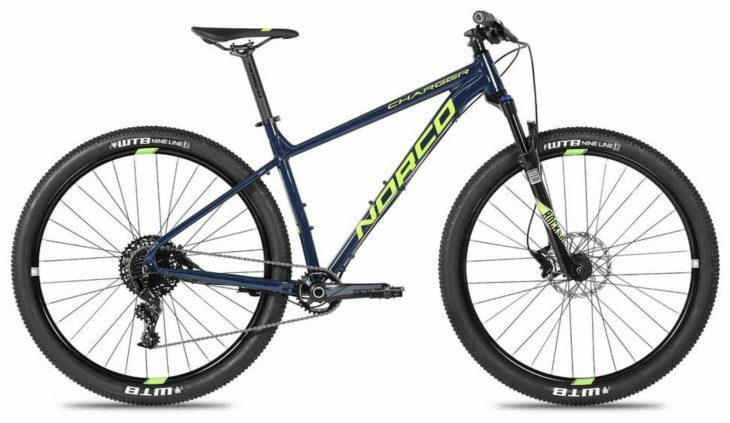 Norco promises a playful ride from the Fluid HT+ while large volume tyres mean the stiff rear end won’t be too harsh on the trail. The Fluid is an overall more aggressive bike than the Charge 1 so you get a lower standover height and slacker head angle. You also get an SRAM NX 11-speed drivetrain, Tektro HD-M285 disc brakes, an SR Suntour XCM 120mm travel suspension fork and chunky 2.8in WTB tyres. There are actually quite a few aggressive 29er hardtail options available at under £1000. 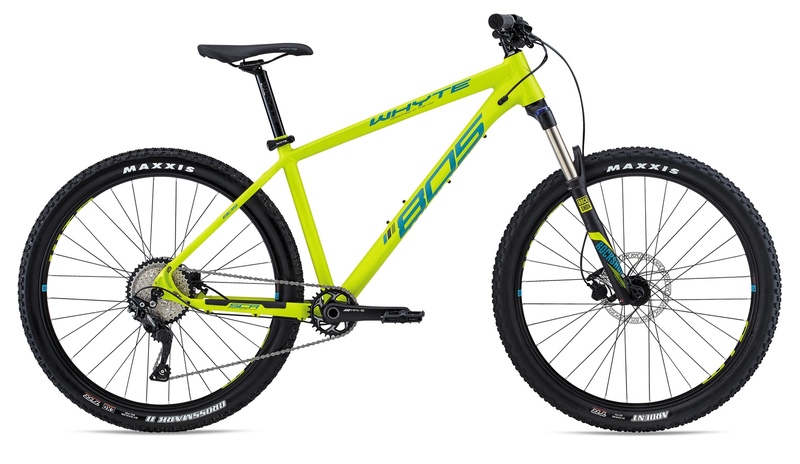 The Sentier 29 VR HT is Vitus’ aggressive hardtail option (also available is a 27.5in bike) boasting long, low and slack geometry and clearance for up to 2.5in tyres. This alloy trail bike comes builds up with a combination of Nukeproof and Vitus finishing kit while big name brands Rockshox, Maxxis, Shimano and even Raceface make appearances. The NS Eccentric Lite 2 is the alloy brother to the Eccentric Cromo we reviewed a few years back. Other than being alloy rather than steel, the Lite 2 features the same long, low and slack geometry that we loved for a playful ride and good seated positing for climbing. 29in Octane One wheels and WTB Trail Boss 2.4in tyres offer good rollover ability and trail dampening and both are tubeless ready for a quick upgrade. NS has shopped around a little to give good value so rather than a Rockshox fork we see a 120mm RST Blaze fork, the drive train is a mix of Suntour, Sunrace, and Shimano 10 speed, while the finishing kit is mostly own brand NS and Octane One kit, which is actually all good stuff. Sonder designs and tests its bikes around the Peak District so you know that the triple butted 6061 T6 frame is up to the rigours of rock descents and muddy single track. Mud clearance is so good on the Transmitter that there’s room to run 27.5+ tyres, also giving you a little extra cushioning when things get really rough. 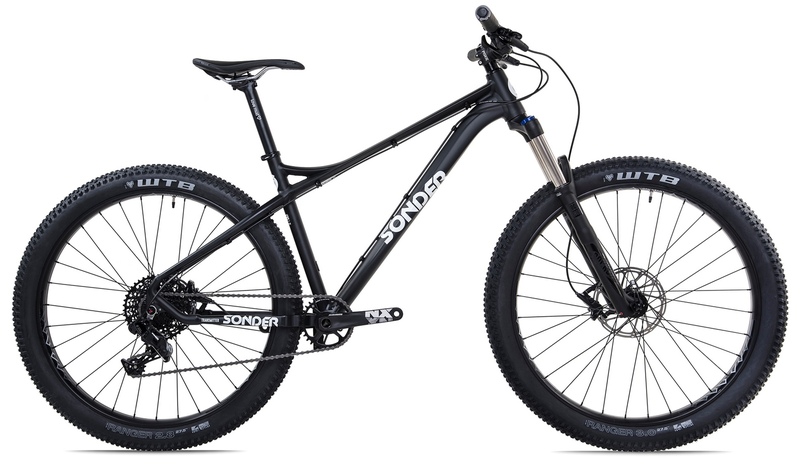 Sonder offers the Transmitter in a range of builds, but the only option under £1000 is this NX1 Recon variant with SRAM NX 1 x 11 drivetrain including SRAM Level brakes and Rockshox Recon RL 130mm travel forks. Whyte is known for making some very good full-suspension bikes with industry-leading geometry, but don’t overlook its hardtail especially when they can be had for less than £1000. 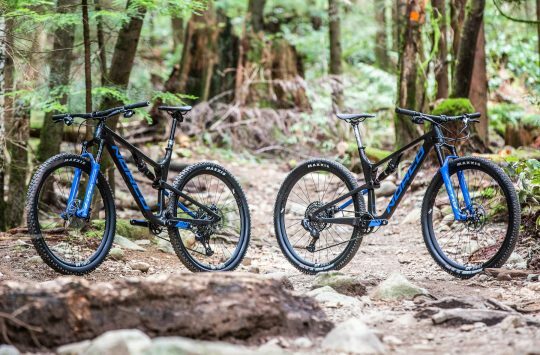 The Whyte 805’s geometry uses a combination of what Whyte knows works for aggressive riding combined with angles that are more suited to chilling on the trail, giving you the option to go fast and hard or slow and mellow. A Whyte forged crankset with direct mount 32t narrow wide chainring might be a cost saver, but it actually looks very upmarket. The rest of the 1 x 10 drivetrain comes from Shimano’s Deore groupset while brakes are Tektro Auriga. Up front is a 130mm travel RockShox Recon Silver RL fork with lockout, and the rest of the kit is a mix of Maxxis, WTB and Whyte’s own branded components. 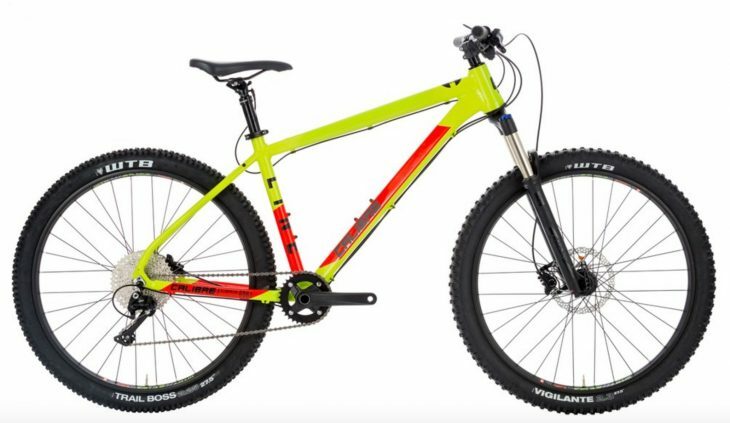 Calibre describes the Line 10 as an “aggressive hardtail that’s perfect for tearing up the trails” and on paper, this does appear to be the case. At the heart of the Line 10 is a 6061 alloy frame which Calibre has carefully chosen and hung a selection of big name branded kit from. The 1 x 10 groupset is made up of a mix of Shimano SLX rear mech, Deore shifters, Shimano M506 disc brakes and a Prowheel chainset complete with narrow wide 34t chainring. 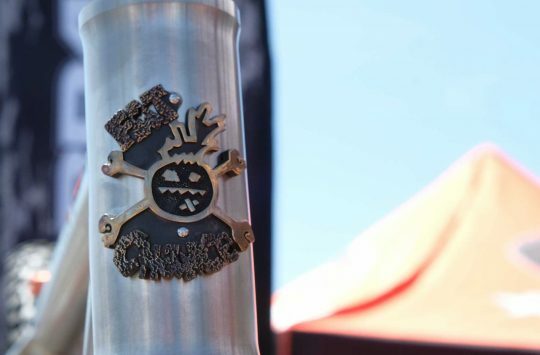 Rockshox gives the bike a Recon 120mm travel fork, Ritchey provides the 760mm handlebar, and there are components from Formula and WTB on there too. To top it all off, Calibre has even found room in the budget for a Tranz-X dropper post. Calibre lists the RRP of the Line 10 at £900, but if you get yourself a Go Outdoors discount card the price is reduced to just £749.00. So that’s that for this list. Did we miss anything? 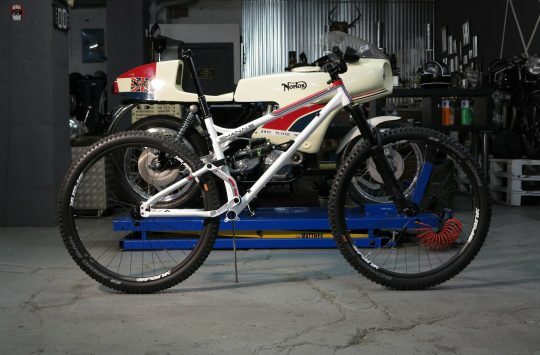 Do you own any of these bikes? Feel free to shout out in the comments section below. Got a Voodoo Bokor a couple of months back. It and the cheaper Bizango are great for the price. +1 to the Voodoo Bizango.